"Will you be the Sole Survivor?" 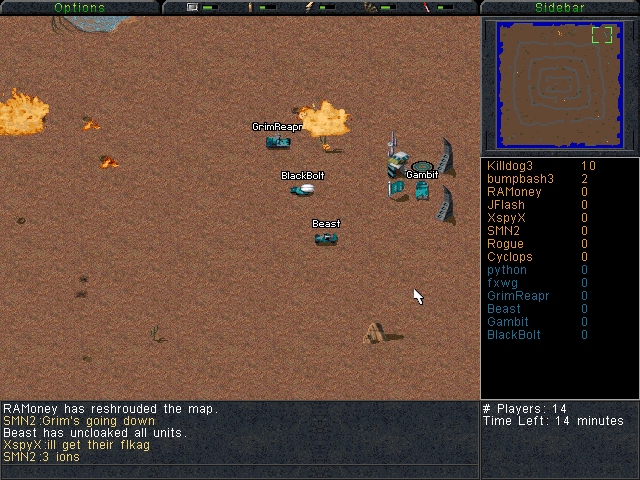 Sole Survivor is the 3rd and a largely forgotten C&C game. 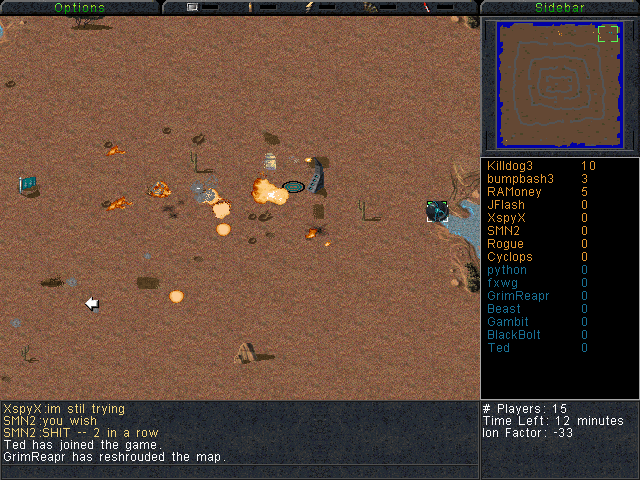 The game was similar to a top down shooter, however unlike a top down shooter your character controls more like a unit from Command & Conquer, by pointing and clicking, rather than the more traditional keyboard for movement and mouse for aiming control scheme. Sole Survivor is a multiplayer focused game where you control only one unit. You have a wide selection of units to choose from as every ground combat unit from the original C&C is available, even the dinosaurs. Another interesting thing with Sole Survivor is that it's the only C&C game where you can change the EVA voice, your options include the Commando voice, standard EVA and others. The game died when the online servers for it were shut down in 1998. With Westwood and subsequently EA forgetting about the game omitting it from compilation packs and franchise history tables. 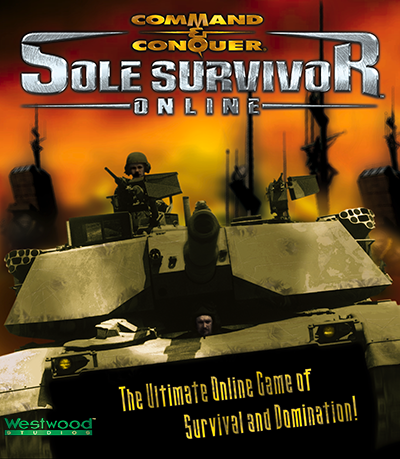 Some people claim that Sole Survivor inspired the mods and games that would later make up the MOBA genre. While Sole Survivor contains elements that would be later used in MOBA games it is fairly unlikely that many took direct inspiration from it. 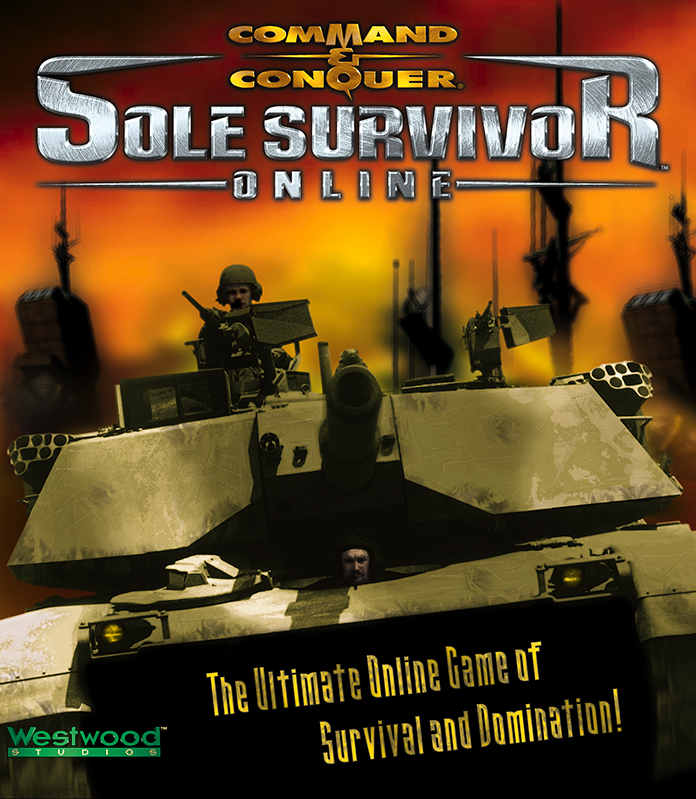 Sole Survivor was a game released before it's time causing it to be forgotten about and become a bit of a legend in the C&C community. People have tried many times to create a Sole Survivor server but they have all failed again mostly due to lack of interest, time or the skills to do it.